If there is one thing to be said about South Bend, Indiana's Necrodemon, it is that they are truly breaking new ground, and beating out a path of their own. 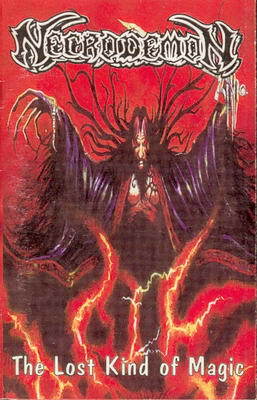 Necrodemon was formed in late 1998 by founding vocalist/guitarist and scene veteran Rob Elliott, and drummer Chuck Feldman. With the addition of bass player Jeremy Montgomery, their first recording would come in 1999 in the form of a "Deadly Demo" Their first full length album would then arise soon after, and it was to be titled "Haunted Eons". In 2001, drummer Chuck Feldman would rejoin the band, and this was to be the permanent lineup. Necrodemon would then release a second demo in 2002 entitled "Incipit Fear", for the purpose of future recordings. In 2003, a second full length album entitled "Allegiance to the End" was released, and this proved to be the defining album of their career. The band's hard work and effort would pay off in 2006, when Open Grave Records took an interest in and signed Necrodemon to facilitate the release of their third full length and concept album "Ice Fields of Hyperion" . 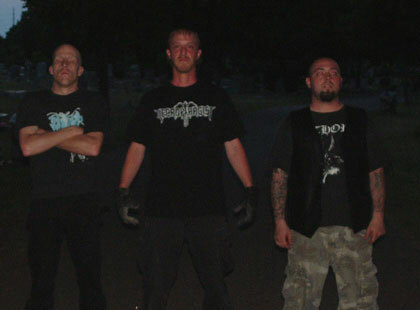 Over the years, Necrodemon has toured much of the US in support of their releases to date. They have gained much respect from the metal community. They have also shared the stage with such highlighting acts as Moonspell and Exodus. With three full length albums released, and an ever improving writing style, and drive to better themselves, the band thrives on being extremely diverse in vocals, music, and lyrical ideas and concepts, while continuing to stay focused on being original, hard working, and above all, true metal.